Sunrise Bank has started a branch at Budhabare of Jhapa. 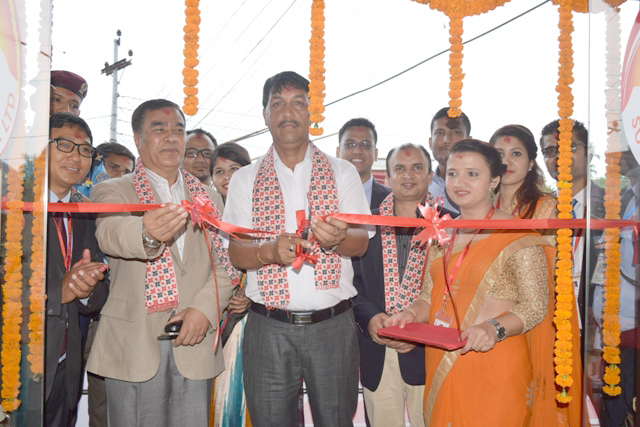 Gobinda Poudel, President of Budhabare Chamber of Commerce and Industries and Robin Nepal, Deputy General Manager of the bank jointly inaugurated the brancah amid a program on Sunday. The bank started the branch as per its aim to expand its advance banking services, said Ratna Raj Bajracharya, CEO of the bank. There is a locker service available in the branch. On the occasion of the opening, the bank is providing 50 % concession for one month on locker charge in the branch. Presently, the bank is operating through a network of 69 branches and 78 ATM outlets.